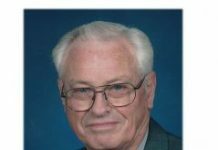 Funeral services for Willis Clark Stephens, 88, West Plains, Missouri, will be held at 2:00 p.m., Tuesday, February 12, 2019, at the Carter Funeral Home Chapel, West Plains with Brother Bill Bales officiating, under the direction of Carter Funeral Home, West Plains. 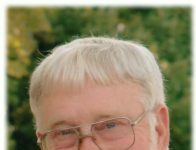 He was born the son of the late Omie Stephens and Ruby June Helmer Stephens, on September 28, 1930 in Kansas City, Missouri and died February 7, 2019 in West Plains, Missouri. He was united in marriage January 14, 1951 in Salem, Arkansas to Gracie Skaggs. 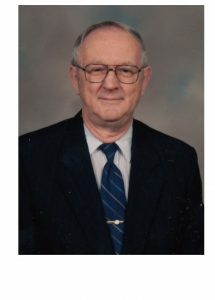 He is survived by his wife, Gracie Skaggs Stephens, of the home, West Plains, Missouri; one brother, Leland Stephens and wife Ella May, West Plains, Missouri, and one sister, Oma June Hardcastle, Caulfield, Missouri; five grandchildren, Jeremy Michael, Jeff Michael, Christopher Stephens, Summer Stephens, and Ashley Stephens; several great grandchildren, and many nieces and nephews. He was preceded in death by his parents; two sons, Michael Clark Stephens and Willis Bruce Stephens. He had attended the Union Grove General Baptist Church and was a member of the First Freewill Baptist Church, both in West Plains, Missouri. 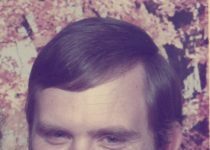 He had pastored several area churches in Missouri and Arkansas. Memorial contributions may be made to the Union Grove General Baptist Church in West Plains; the Gideons, or the Alzheimer’s Association. Burial will be in State Line Cemetery under the direction of Carter Funeral Home, Inc., West Plains.